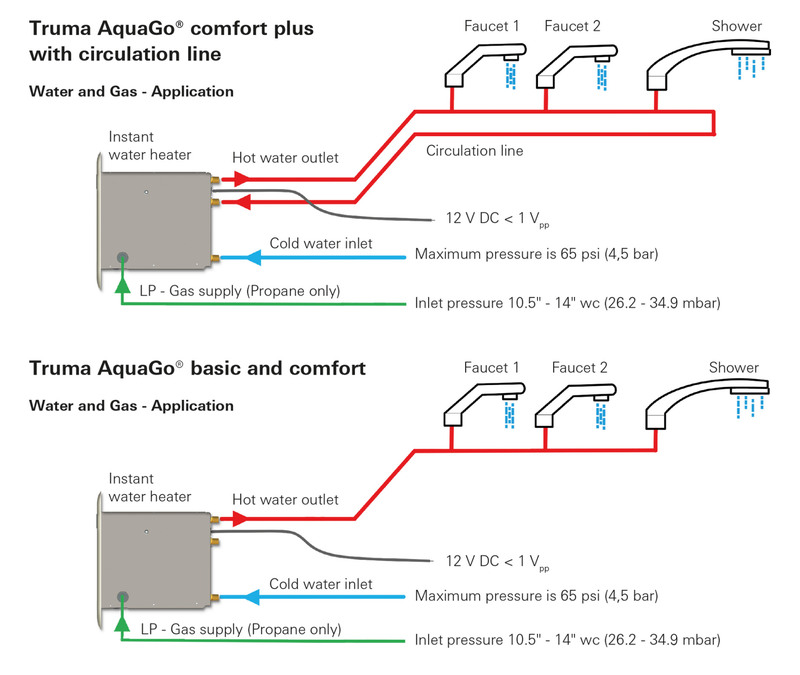 Brushing your teeth, washing your hands, showering, doing dishes: no matter how much hot water you need when you're on the road – the Truma AquaGo instant water heater supplies endless hot water, keeps the temperature constant and is the only RV water heater in the industry that can be decalcified. The plug and play, electric antifreeze kit protects your Truma AquaGo comfort or Truma AquaGo comfort plus from freezing while traveling, without having to drain the unit. While it's not a a substitution for winterizing the AquaGo, it can come in handy when traveling. Decalcifying your Truma AquaGo to keep it running as good as new. The Truma AquaGo comfort and comfort plus can be decalcifed using the "Clean Mode" on the interior control panel switch. The Truma AquaGo basic must be taken to a Truma Certified Dealer to be decalcified. The Truma AquaGo will make your RV the envy of the campground! Now that we've had our AquaGo for several months and we are in the midst of a 3 week cross country trip, I'd like to say how much we look forward to our LONG hot showers each morning. I do most of the driving and, boy, my shoulders and neck appreciate that unending hot water! Thanks for making such an excellent product!